SpeedTube has broken seed tube convention. 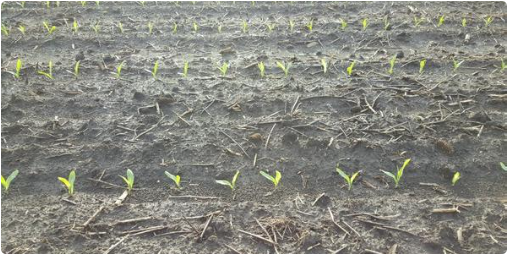 Planting with SpeedTube enables accurate seed spacing at any speed — regular seed tubes just can’t handle going faster. Take control of your best planting window at double your speed. The secret is in the flighted belt that takes gravity out of the equation. There’s no opportunity for seeds to ricochet into the trench. Even at twice the speed you normally plant, every seed arrives safely at the bottom of the trench, spaced evenly, every time. So the perfect plant spacing is attainable, while Maximizing that perfect planting window. Do you know how accurate your meter’s are running? When each additional percentage point is going to add yield potential no matter what crop you are growing you can’t afford to singulate poorly. Its that time to start getting things ready for the upcoming planting season. Come by coop to get your meters ran on the MeterMax® Ultra test stand and we'll give you a printout of your meters performance. We clip your meter on the MeterMax® Ultra test stand, then fill the hopper with one of our seed samples (or preferably the seed you will plant) then turn it on. With the 20/20 SeedSence we set your planting speed and population, the 20/20 will precisely monitor and record the results of the test. If you need to get any adjustments made we can do that too. We will also have replacement parts on hand. Just set up a time to bring your meters in and if there is a problem or your singulation is low we can adjust and give you options for increased performance so when you go to the field next season with your planter you’ll know that you can rely on your meters to be in great shape. Fieldview makes your data more valuable, more manageable. It makes your data work harder. Get alerts in real time. Look at metrics and reports by field, planter and hybrid. 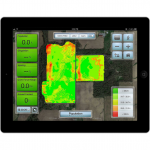 Compare tile, fertility, yield and other maps. FieldView Plus automatically syncs field pins (including notes and photos), client/farm/field lists and field map data so, wherever anybody is, they get the same information. FieldView Plus makes file transfer and sharing (prescriptions and boundaries) easy. You can easily download 20/20 files to your desktop or share them with consultants, partners, landowners, insurers and others. It makes USB file transfers obsolete. Back up all your 20/20 and FieldView data automatically, permanently, privately, securely. 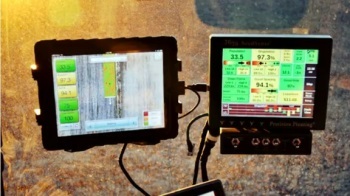 With FieldView Plus, if you’re online, you’re connected to every aspect of your planting operation. Live maps of planting in progress from the field to the office, or wherever you are. All planning tools and information are always available with summarized reporting that brings out relevant details. Plus, frequent app updates keep you current with new features and capabilities — FieldView Plus is always fresh.